Not far from the Atlantic coastline, in the land of Muscadet and oysters, is the eight hectare domaine of Jerome Bretaudeau. After 15 years of working for wineries in the region, he scraped enough tanks and barrels together to begin his own cellar. Now he is cultivating ten different varietals in diverse soils near his home. 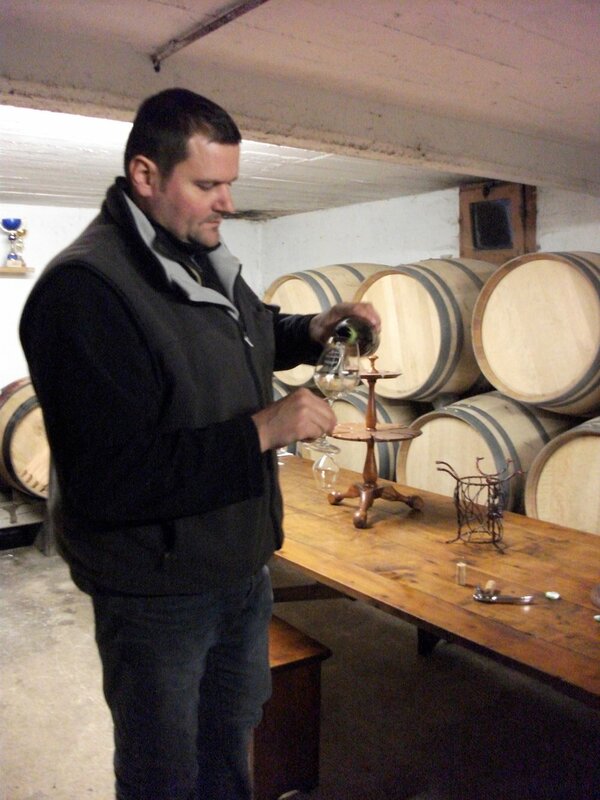 Jerome is a large quet man, set on working hard to get the best he can from his domaine. 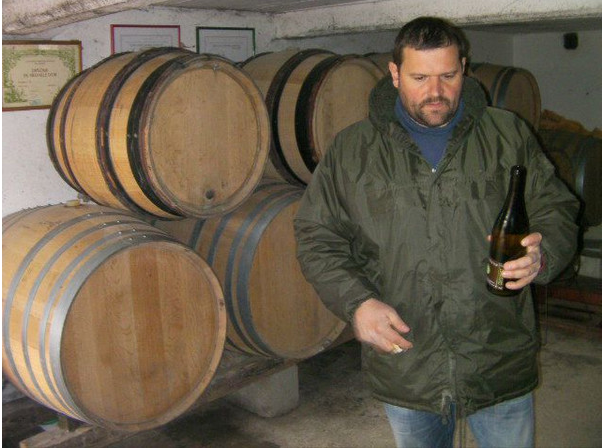 He has a mind for organic practices and traditional wine making, along with a clever approach to his cuvee selection. Rather than selecting only from 'lieu dit' sites (named sites), he harvests by age of vine per each soil type. This way he can learn what each vine will bring to his cellar as they come to age. He replants by massale selection to keep his clones growing in their rightful home and knows his two best soils are hiding right beneath his feet: gabbrox from ancient volcanic activity (very raw in texture in the wine) and older granite/schist (for a rounder expression) are his two priorities. Jerome is an intelligent young vigneron, learing while he builds his new domaine. Methode Traditionnelle Brut Nature Rose, "Billes de Quartz"
Jérôme blends parcels of different ages for his Sèvre et Maine, from Melon de Bourgogne which he hand-harvests from his sloping, sandy, loam vineyards on Gabbro bedrock. Grapes are only harvested in the morning to aid in the prevention of oxidation, and the grapes are then transferred by gravity to a press where they are lightly pressed. The must is allowed to settle slowly under controlled, cool temperatures before it is moved to ferment in a tank. During fermentation, Jérôme uses only indigenous yeasts, and keeps the temperature between 16˚ and 20˚C. Fermentation lasts about four weeks, after which the wine is allowed to age with regular bâtonnage and is bottled without filtration.